Alyssa Mastromonaco served as President Obama's director of scheduling and advance at the White House from 2009 to 2011 and as assistant to the president and deputy chief of staff for operations at the White House from 2011 to 2014. She is the New York Times bestselling author of Who Thought This Was a Good Idea? (with Lauren Oyler} and a contributor to Crooked Media. 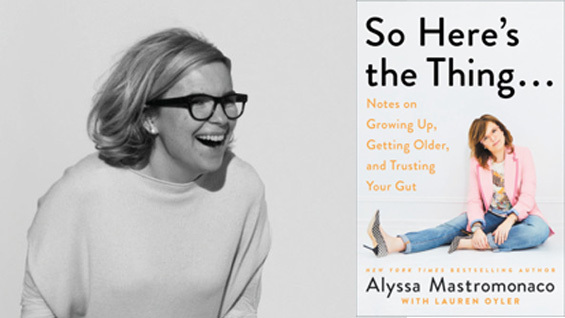 Join Alyssa as she sits down with Valerie Jarrett, former senior advisor to President Barack Obama, for a conversation all about her new book, Here's the Thing: Notes on Growing Up, Getting Older and Trusting Your Gut. In it, she brings a sharp eye and sense of humor to the myriad issues facing women the world over, both in and out of the workplace. Along with Alyssa's personal experiences and hard-won life lessons the book interviews with women like Monica Lewinsky, Susan Rice, and Chelsea Handler. This event is sponsored by The Strand and requires paid admission. Book + Admission tickets are $35. Admission Only tickets are $20. The $20 Admission Only ticket does not come with a copy of So Here's the Thing.